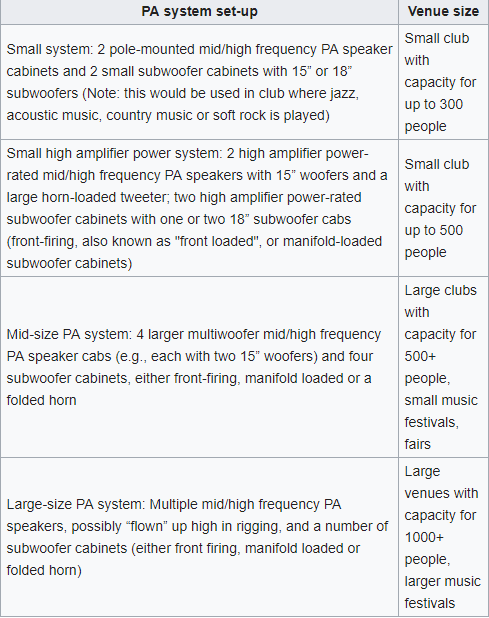 When it comes to PA systems you are able to change the size of the system you would like. A small PA system would generally consist of a microphone, an amlifier and one or more loud speakers. 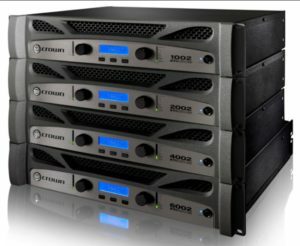 They generally provide4 around 50 - 200 watts of power and are often used in small venues such as school auditoriums or churches. A sound source may be connected to the PA system such as a radio so that the music can then be played through the system at louder volumes. Smaller systems such as a battery powered 12 volt system can be installed in places such as tour buses or school buses so they the driver is able to speak to the passengers. What's is PA over IP? PA over IP refers to PA paging and intercom systems that use an Internet Protocol (IP) network, instead of a central amplifier, to distribute the audio signal across a building or campus. Network-attached amplifiers and intercom units are used to provide the communication function. At the transmission end, a computer application transmits a digital audio stream via the local area network, using audio from the computer's sound card inputs or from stored audio recordings. At the receiving end, either specialized intercom modules (also known as IP systems) receive these network transmissions and reproduce the analoge audio signal. 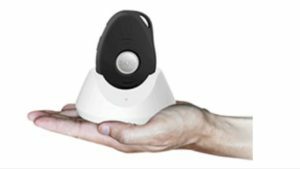 WMT PA systems refer to PA paging and intercom systems that use any form of wireless mobile telepony system such as a GSM network instead of a centralized amplifier to istribute the audio signal to locatons around the area. A LLPA system is any public address system with a distributed architecture, normally across a wide geographic area. These systems are most commonly found around metro industries and let announcements be triggered from one or several locations to the rest of the network.